Plastic surgery is a marriage of classic art and modern science. Modern plastic surgery has opened the doors to an entirely new world of self‐improvement. Your outward appearance should be a reflection of how you feel on the inside. Plastic surgery can not only change your appearance but can also boost your self‐confidence and help you look as young as you feel. Dr. Lalla believes that it is important for him to understand your desired goals. During your initial cosmetic consultation, you can feel confident that Dr. Lalla will carefully evaluate your needs and expectations before making any recommendations. His gentle spirit and warm personality puts each patient at ease, while his meticulous surgical skills and extensive experience bring natural looking results to enhance face, breast and body. Dr. Lalla has been performing plastic and cosmetic surgery in Mercer County, New Jersey for over 24 years. He is Board Certified in Plastic Surgery by the American Board of Plastic Surgery of the ABMS and a fellow of the American College of Surgeons. Dr. Lalla has been recognized as one of the top surgeons in America by the Consumers Research Council Guide for the past 10 years. He has been voted as the best plastic surgeon by the readers of the Trentonian, the local newspaper of Mercer county, and was awarded the Talk of the Town Customer satisfaction award for 2012 and 2013. He was honored by the American society of Aesthetic surgeons for his humanitarian and philanthropic work. He has been the Chief of the Department of Plastic Surgery at the Robert Wood Johnson University Hospital at Hamilton and the Capital Health Systems. He is a member of the American Society of Plastic Surgeons, American College of Surgeons and the New Jersey Society of Plastic Surgeons. 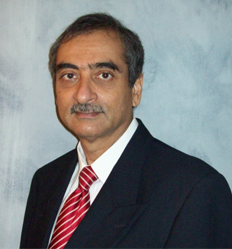 Dr. Lalla completed his medical school training from the University of Bombay, following which he did an orthopedic residency. He completed a general surgery residency at Methodist Hospital in New York, and trained in Plastic and Reconstructive surgery from the State University of New York, Downstate Medical Center. Dr. Lalla maintains staff privileges at Capital Health System, Robert Wood Johnson University Hospital at Hamilton, and the Saint Francis Medical Center. Call for a free cosmetic consultation. © 2019 Raj Lalla MD, FACS and MedNet Technologies, Inc. All Rights Reserved. The cosmetic plastic surgery from this web site is for informational purposes alone and shouldn't be interpreted as medical advice. If you're searching for advice, please confer with a professional plastic surgeon Dr. Lalla.